The decade from 1948 to 1958 has long been thought of as the golden era in Venezuelan history due to its rapid economic growth and architecture modernisation. Although Venezuela was governed by the military dictatorship of General Marcos Pérez Jiménez during this decade, the government tried to create the perception that not only was dictatorship good for the country, but also the primary force that brought economic progress and modernisation to Venezuela. These views have remained intact, as current analyses of today’s political climate in Venezuela continue to refer to this golden era nostalgically, noting that it was a time when Venezuela was a rich prosperous country. 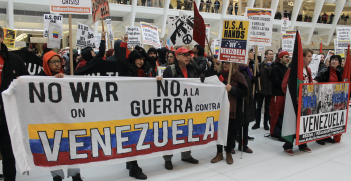 In particular, critics highlight these views when making comparisons to the economic declination of Venezuela since the beginning of the Bolivarian Revolution of late Hugo Chávez. 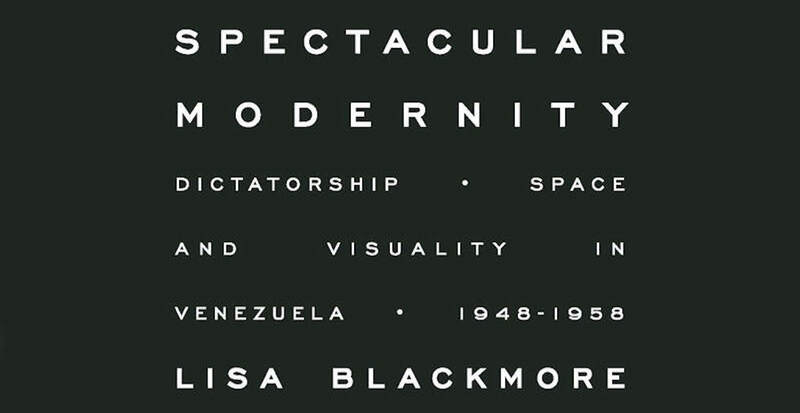 In the book Spectacular Modernity, Lisa Blackmore challenges these ideas about economic growth and modernisation of Venezuela under the military dictatorship of Pérez Jiménez. Blackmore argues that this well-known era in Venezuela’s history needs to be reviewed under the premise that economic development and modernisation of Venezuela was manipulated by the dictatorship in an effort to serve as a tool for military ideology, to deceive the population, and to undermine democratic values. Blackmore maintains that the military dictatorship of Pérez Jiménez used the revenues created by the emerging oil industry of the 1950s to undergo a mission to change the landscape of Venezuela. This changing landscape resulted in many construction projects that were conducted under the premise of fallacious analogies of progress that served the government in trying to justify the abolition of democracy, and to rationalize their authoritarian regime. Nonetheless, Blackmore proves that the so called “golden era” decade was a mere spectacle to deceive the population of its military dictatorship. This book makes its case by describing the various ways in which the many construction projects by Pérez Jiménez served not only as pure engineering and architecture wonders, but also as a form of political power. Readers may be intrigued by Blackmore’s detailed background documenting the political arena prior to 1948, and how Pérez Jiménez rise and fell from power. But the most unique aspect of Blackmore’s analysis is her use of theory focused on analyzing the methodologies used by the dictatorship in order to deceive the population. So in the end, the book offers more than a linear chronological account of the uprising and downfall of the military dictatorship of Pérez Jiménez in Venezuela, and in exchange offers a theoretical analysis of it accompanied with a compelling narrative and an academic style of writing that not only compels the readers, but is also pleasant and easy to follow. Blackmore does an outstanding quest theorizing the soft-power of the dictatorship of Pérez Jiménez in Venezuela. She brings to light the idiosyncrasy of the dictatorship by conceptualizing the non-coercive methods utilized by the regime in their pursuit to gain validation from its constituents. While many studies about the dictatorship of Pérez Jiménez concentrate on the military and political aspect of his tenure, author Blackmore highlights the ideology of his leadership. Drawing from Foucault panopticon theory, Blackmore shows how the military rulers used the construction of high-rise towers, highways, and plazas as a Foucauldian panopticon in order to demand “restraint and order” from its population. Blackmore brings to life Michel Foucault’s picture theorized in “Discipline and Punishment” during this decade in Venezuela. If in the eighteenth century public executions worked as a display to promote discipline and unconditional support from the population due to the fears it engendered, this book shows how Pérez Jiménez used infrastructure, political disclosure, and propaganda to serve as a panoptical jail with the same controlling aims of public executions. Blackmore offers that this tactic as a tool to justify the military dictatorship was similarly used in other areas of government such as education and issues impacting social justice (e.g. race, regional divides) to manipulate the population’s beliefs about the government and about themselves. Blackmore uses theories that stem from sociologist Henri Lefebvre to describe how a concept such as ‘physical space’ is produced to help understand the dictatorship of Pérez Jiménez. Although Blackmore omits a full description of other well-known methods utilized by dictatorial governments (e.g. media censorship, political suppression, disappearances, and tortures of political opponent) she draws some basic comparisons. Clandestine reports of the time, Blackmore points out, describe how “jail served to kidnap dissidents, who were kept locked up in their cells not allowed visits or contact with their families, and deprive of medical assistance” (p. 69). The analysis that describes the Venezuela led by General Pérez Jiménez during the decade from 1948 to 1958 presented by Blackmore offers a unique perspective for the study of totalitarian governments. Blackmore’s analysis and theory can even be thought of through broad universal perspectives that can be applied not only to the dictatorship of Pérez Jiménez in Venezuela, but also to many authoritarian regimes in modern history. This book is well suited for readers looking to develop a holistic understanding of the various methods used by dictatorships in their efforts to gain control of the population. Blackmore offers key points and counterpoints that help provide an understanding of not only the complexities associated with authoritarian leadership, but also the far reaching and long standing impact on society. In addition, Blackmore’s book offers another important contribution as her focus on the explanatory power through the use theory could be used to gain a better understanding on how the socialist revolution started by late Hugo Chávez has dominated the country for the past 19 years, and how it has achieved in turning Venezuela into a dictatorship under the current president Nicolás Maduro. If Pérez Jiménez tried to conceptualised his dictatorship by creating a sense of modernity in Venezuela as an attempt to justify the end of democratic participation, it would be interesting to learn how the Bolivarian Revolution succeeded where Pérez Jiménez failed. Spectacular Modernity: Dictatorship, Space and Visuality in Venezuela, 1948-1958. By Lisa Blackmore. Pittsburg: University of Pittsburg Press, 2017. Javier Correa is a student of Harvard Extension School. 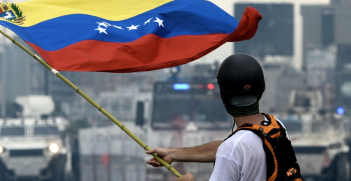 Elements of the global left have contested Western recognition of the opposition leader Juan Guaidó as Venezuela’s interim president. 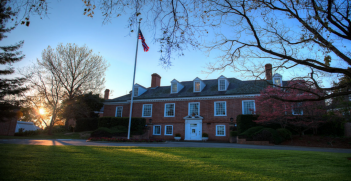 There hasn’t been a US ambassador in Canberra for more than two years. Should Australia feel snubbed?